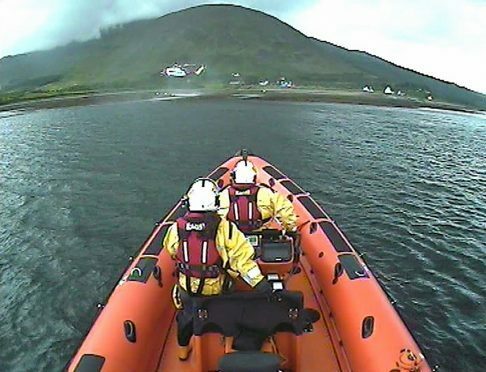 A rescue operation was launched yesterday after a man fell into the water from a boat in the area in Broadford Bay on Skye. The Kyle RNLI lifeboat responded alongside Coastguard rescue teams from Portree and Kyle after the alarm was raised just after 4pm. The unnamed man was rescued and taken to shore by the lifeboat having spent some minutes in the water. According to police he received treatment at the scene. An air ambulances was readied to transport him to hospital, but he was subsequently taken by road ambulance. Last night his condition was not clear.